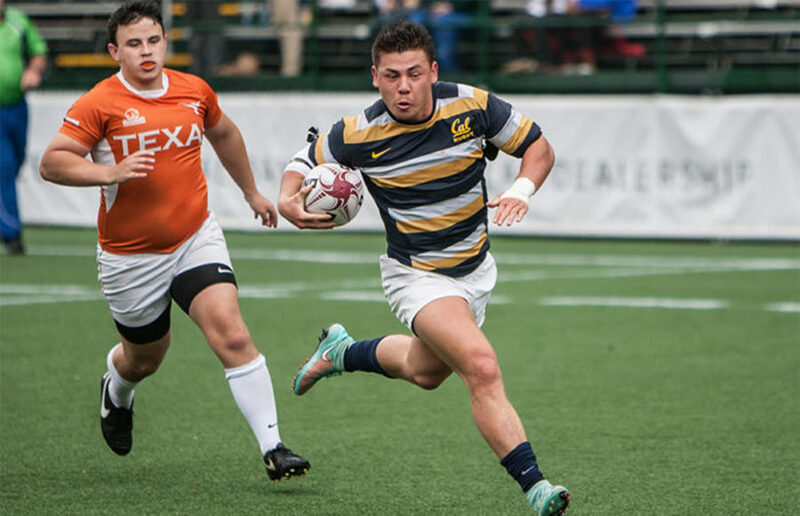 The Cal rugby team refueled and revamped its energy by showing out at home last weekend at Witter Field. Now the Bears are back on the road, headed to San Diego to kick-start what will be a packed eight-day stretch featuring four contests. For starters, Cal (6-0) faces San Diego State (0-2) this Saturday, looking to preserve its undefeated record. The Bears last played against the Aztecs last October in the West Coast 7s. The last time the two sides met for a full 15-a-side matchup, however, was in 2011, when the Bears dominated the field with a 96-0 win. 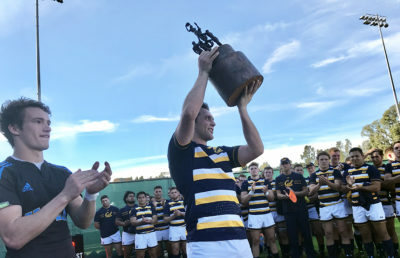 After its trip down south, Cal will head back to Palo Alto on Wednesday, where it will look to keep the Scrum Axe for yet another year. The Bears’ biggest strength so far has been their quick playing style and superb ball movement. Cal scored 26 combined tries in two games (13 apiece) coming from 15 different players. Junior flanker Nic Mirhashem led the way with four while senior center Aidan Flynn and sophomore prop Damon Wiley follow him with three apiece. One thing for other teams to fear is that Cal has been doing a solid job forcing opponents to defend both strong forwards and speedy backs. Clark’s fast-paced playing style is one of the main reasons that has ignited the team’s ball movement, as the Bears are consistently looking to hit their opponents at all angles, capitalizing on any gap in their opponent’s defense. This style of play, however, requires fresh legs on the team. 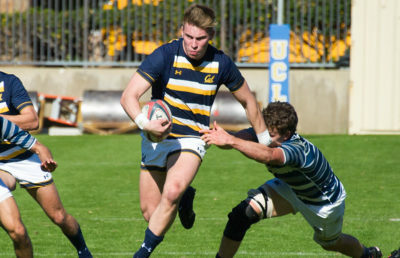 On the other side of the ball, the focus of everyone on Cal’s roster was on the 19 points the Bears gave up against Olympic Club last Saturday. 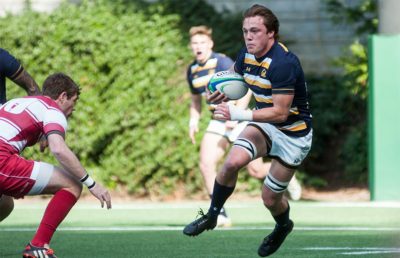 After maintaining a shutout in the first half, Cal lost some of its focus and gave up several penalties that turned into tries for the senior men’s side. Penalties were also a problem two weeks ago, as the two penalties were the only source of scoring for Cal Poly, the Bears’ opponent. “We did a poor job (on defense), and we have to put some time on it,” Clark said. Clark’s goal is to find a way to prepare all 55 of his players to game speed, as Cal’s fast playing style and its packed schedule might cause unwanted casualties on the way as well as the need to have fresh legs on the field at all times. The Bears will return to Witter Field on Feb. 10 for a double header against Cal Maritime and Utah Valley.